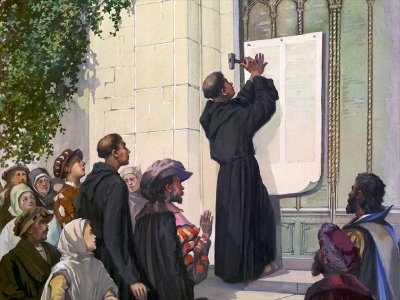 (Pictured above: Martin Luther nails his "95 Theses" to the church door at Wittenburg, accusing the Roman Catholic Church of heresy). 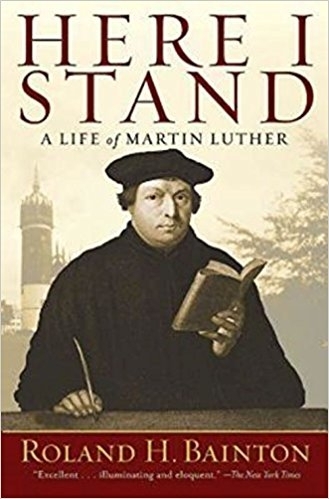 With the current Calvinism controversy which began prior to the 2013 Southern Baptist Convention meeting, it is instructive to understand our Baptist heritage and understand the Protestant Reformation which came after Martin Luther took a stand against the Roman Catholic Church. 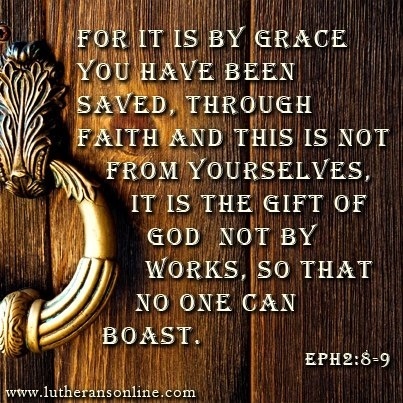 The Reformation came from Luther's conviction that the Roman Catholic Church did not submit to Scripture. Therefore, it could not speak for God. While in seminary, we studied the book "Here I Stand" by Roland Bainton, now in public domain. Also, one of our classes watched the historic film, "Martin Luther" also now in the public domain. It is offered here for information and inspiration concerning the life of Martin Luther and the role he played in the Reformation. The time frame of the film is 1505-1530: Luther's entrance into the Augustinian monastery in Erfurt to the presentation of the Augsburg Confession. 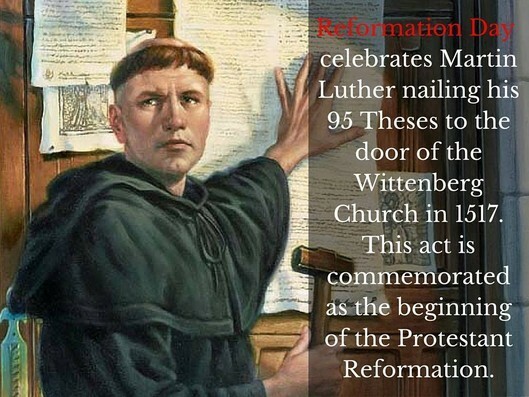 It recounts Martin Luther's struggle to find God's mercy: his discovery of the gospel in Romans 1:17, the posting of the Ninety-five theses, and the subsequent controversy, which led to Luther's being separated from the church of Rome. It shows Luther's resistance to the forces of radicalism, and his work to establish and maintain the evangelical movement of his day. The dramatic climax of the film is Luther's "Here I Stand" speech before the 1521 Diet of Worms, and the grand finale is the singing of A Mighty Fortress Is Our God by Luther's congregation. (Because of the length of the film, for the purpose of this website, it has been divided into 7 parts, with nothing left out.). Martin Luther translated the Bible into German for all the people to read. "What is a Baptist?" by Rev. James T. Draper, Jr. In 1521, Luther was summoned to the Imperial Diet, an authoritative meeting that involved the princes of the church, called by the Emperor of the Holy Roman Empire to be held in the city of Worms in Germany. Luther was an outlaw. For him to appear at the Diet was to risk his very life; therefore, he was given safe conduct by the Emperor to attend. 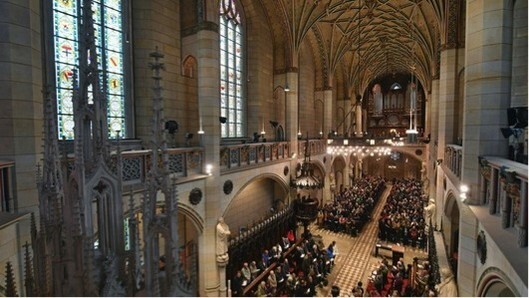 With a few friends, Luther traveled from Wittenberg to Worms. The eyewitnesses of that episode tell us that when Luther’s little covered wagon appeared around the corner of the bend, there were lookouts posted in the church tower at Worms. All the people were agog waiting for the arrival of this notorious person. When Luther’s caravan was sighted, people were throwing their hats in the air, blowing trumpets, and creating all the fanfare of the arrival of the hero. It was the 16th century answer to a ticker-tape parade. The five-hundredth anniversary of the Reformation calls for celebration and remembrance lest we forget this event and the doctrinal truths that sparked it. On October 30, 2017 we hosted a special evening celebrating the Reformation. Sinclair Ferguson, Stephen Nichols, Burk Parsons, and Derek Thomas joined R.C. Sproul in covering the Reformation in brief messages that highlighted the gospel, what it means to have peace with God, the historical setting of the Reformation, and other topics. 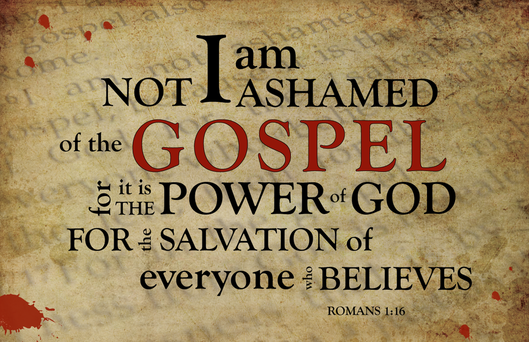 (Courtesy of Ligonier Ministries). How did the early church evolve into the Catholic Church; going astray from the actual Bible scriptures? Why did the Catholic church not translate Scripture correctly when it was producing a Bible in a new language? Where did the heretical teaching(s) concerning "praying the rosary," "praying to Mary," "purgatory," come from? How did the Catholic church come to rely on one man, the Pope, as the ultimate authority and interpreter of the Bible? In the following five-part program, produced by the Lutheran Hour Ministries, the church during the Middle Ages is explored in detail. While the viewer is reminded that, while this program is presented from a Lutheran viewpoint, it shows how God was at work in the Reformation. Viewers will see how the Reformation transformed European society and, eventually left a profound impression around the globe.